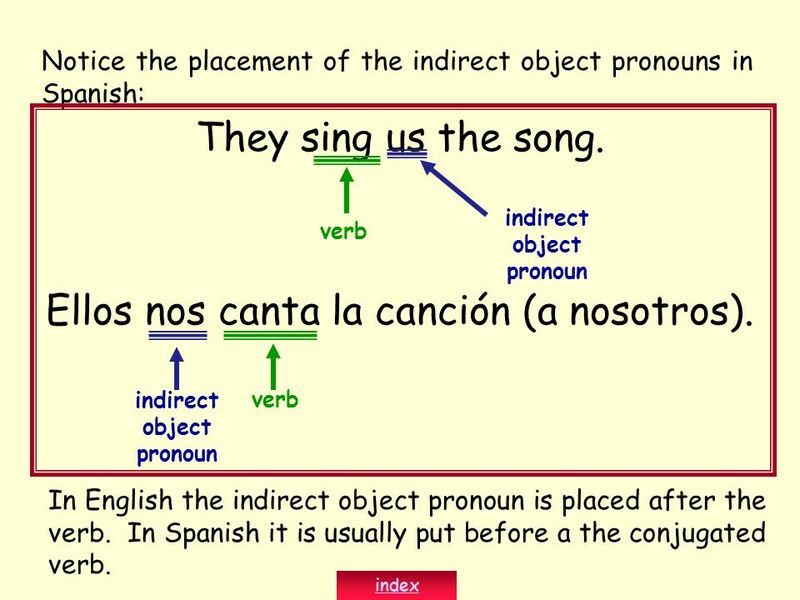 2 What does an indirect object pronoun do? 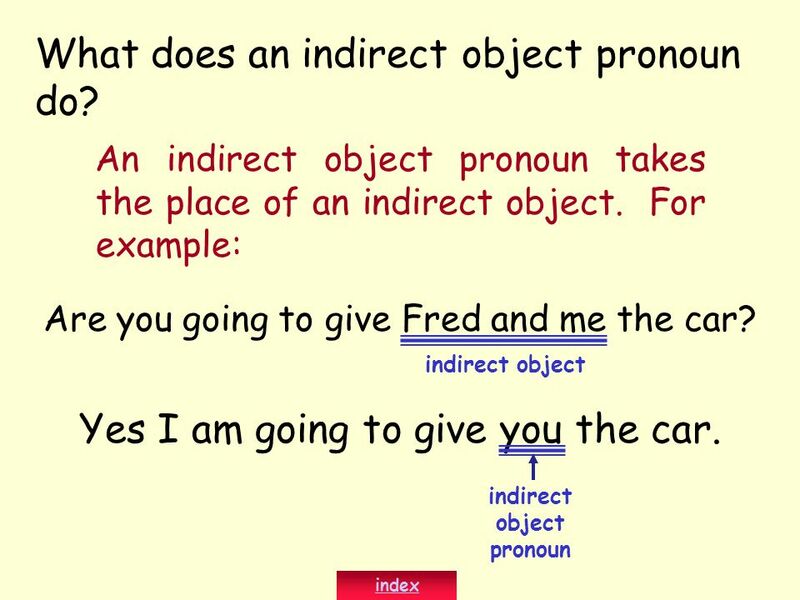 3 What does an indirect object pronoun do? 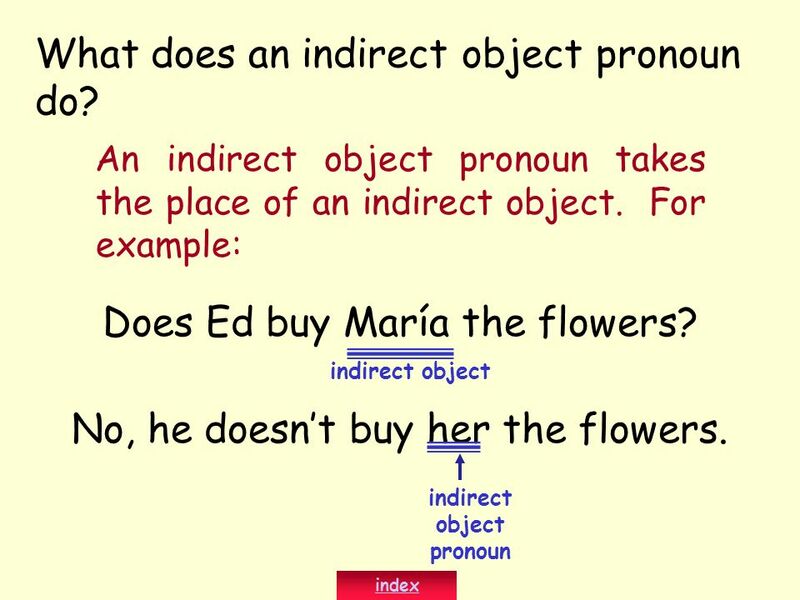 4 What does an indirect object pronoun do? 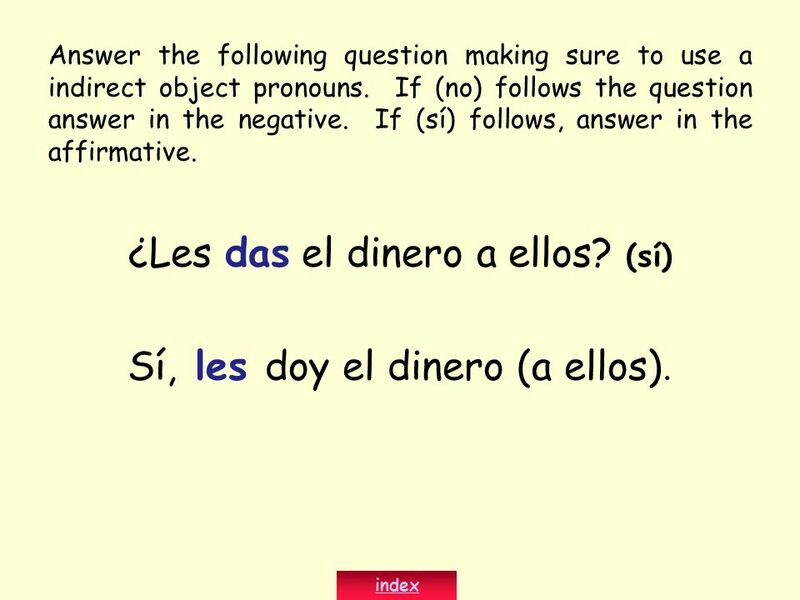 10 ¿Quieres mandarme el dinero? 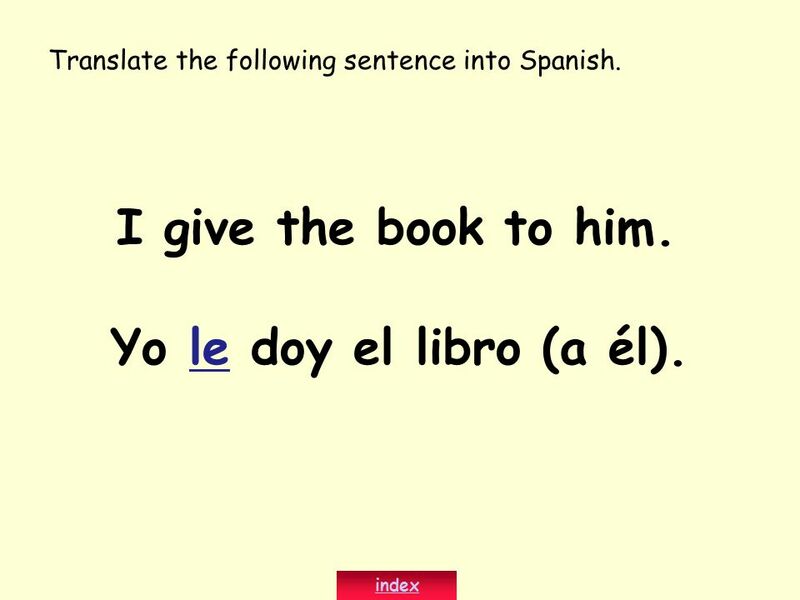 11 I give the book to him. 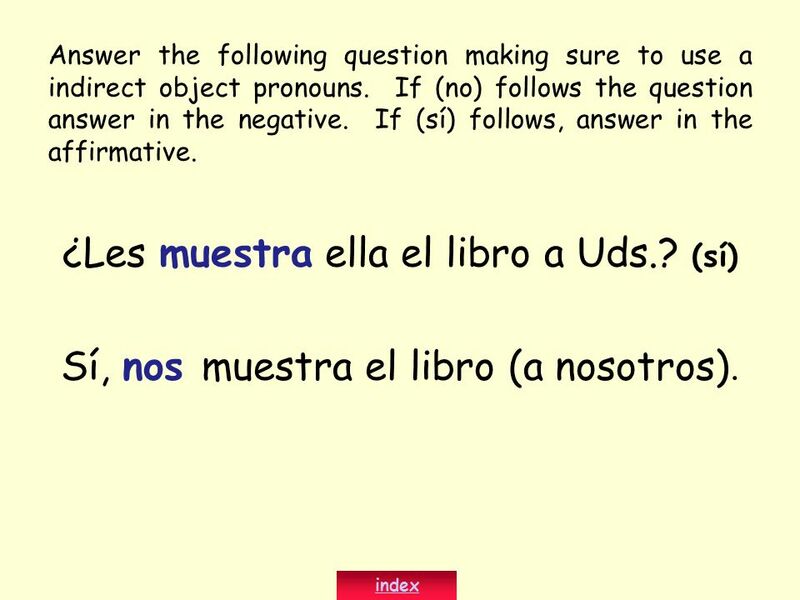 Yo le doy el libro (a él). 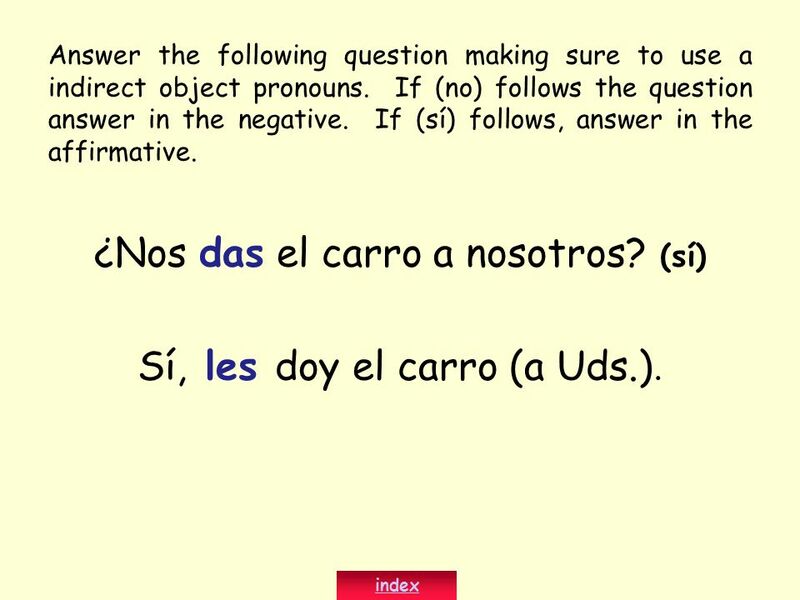 12 Nosotros le vendemos el carro (a ella). 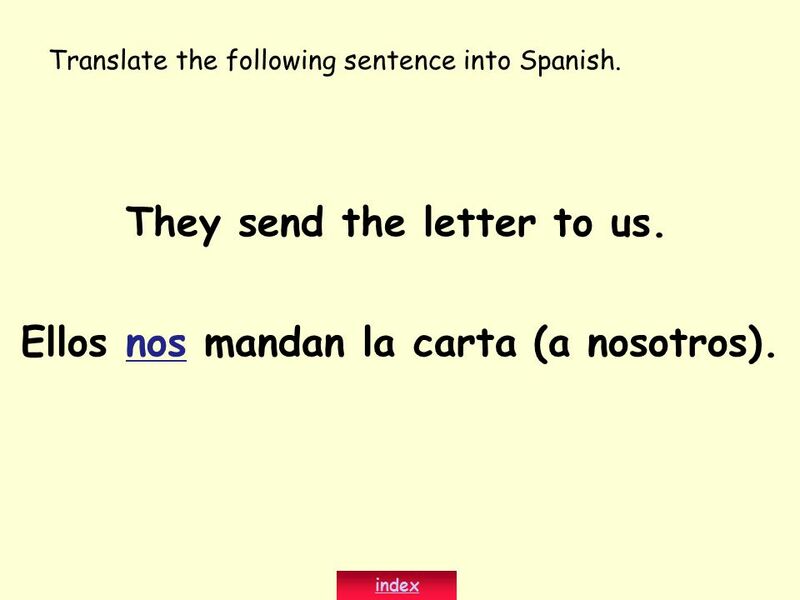 13 They send the letter to us. 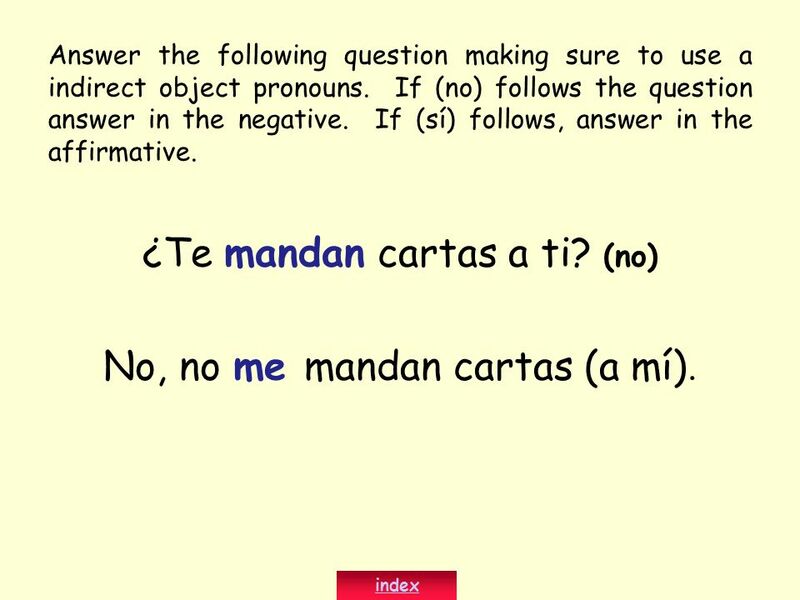 Ellos nos mandan la carta (a nosotros). 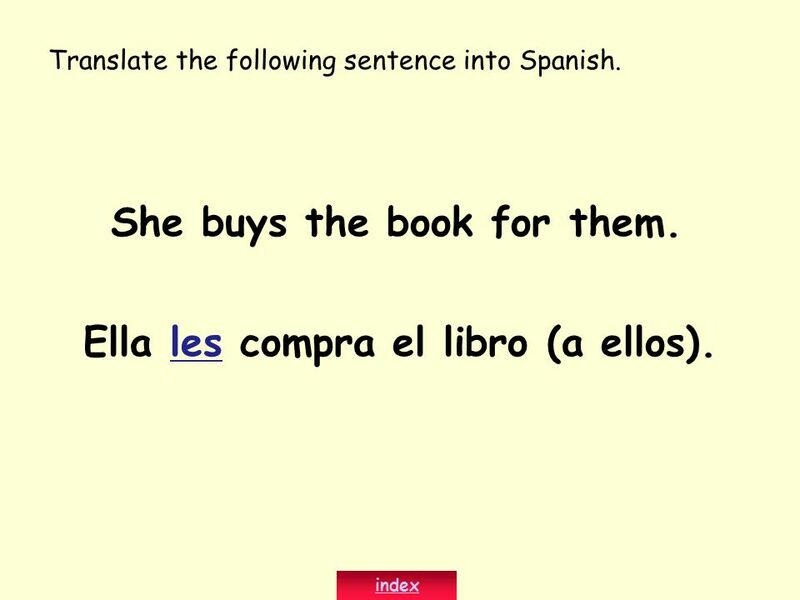 14 She buys the book for them. 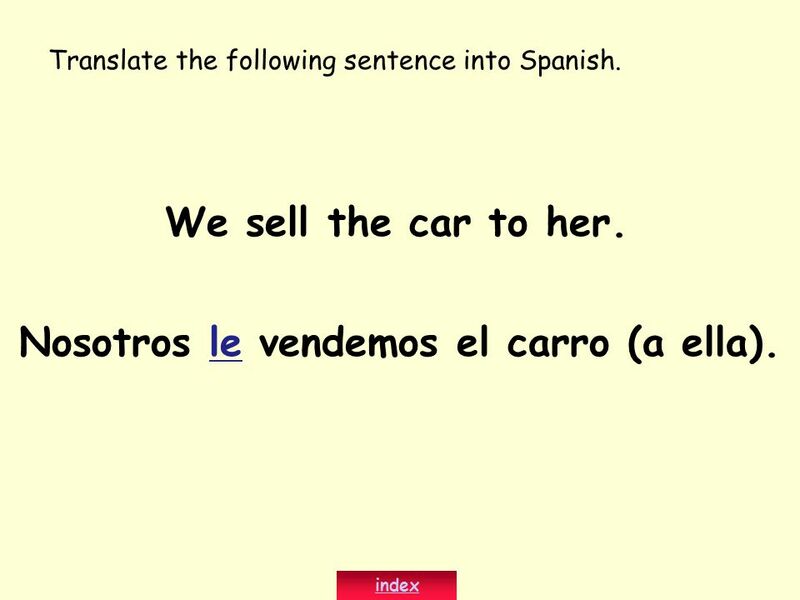 Ella les compra el libro (a ellos). 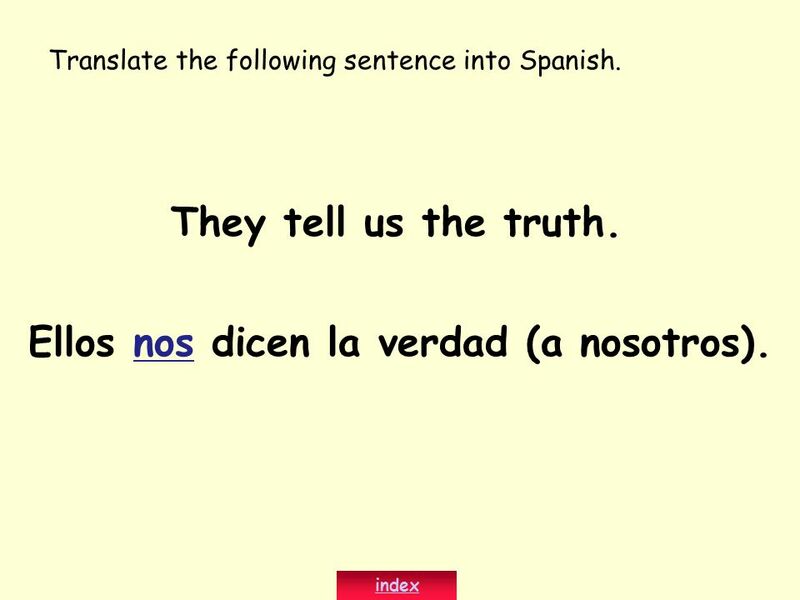 15 Ellos nos dicen la verdad (a nosotros). 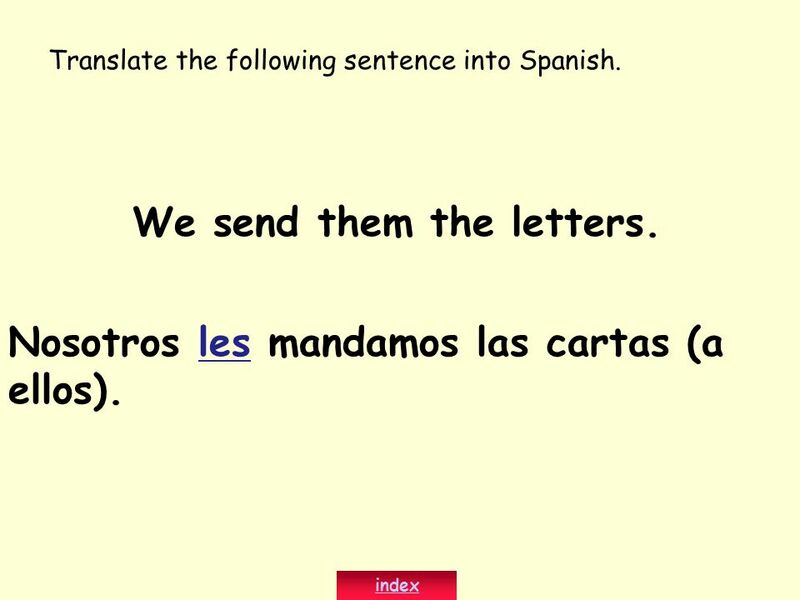 16 We send them the letters. 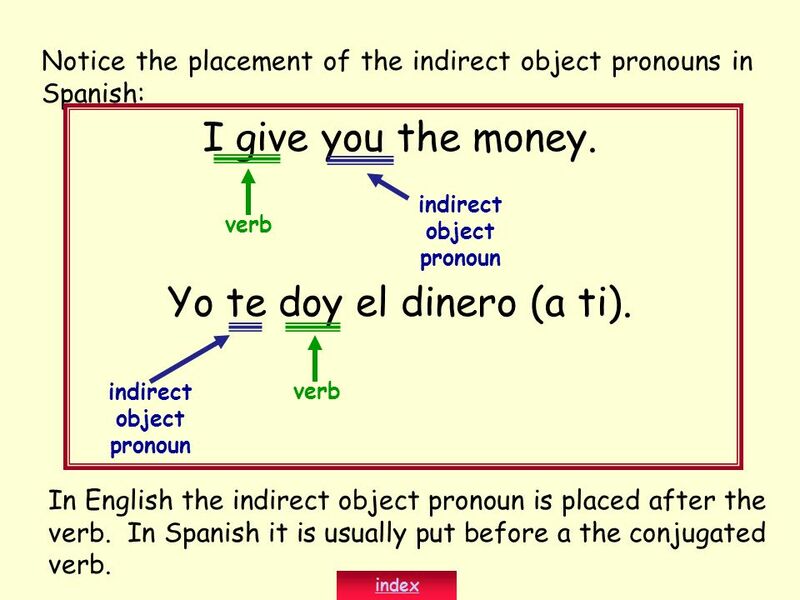 El verbo dar “To Give”. 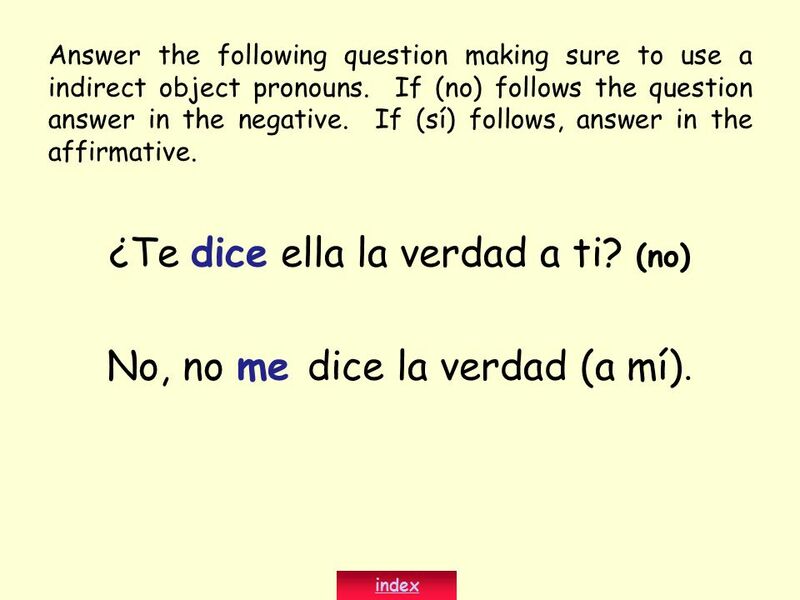 ¡En español! 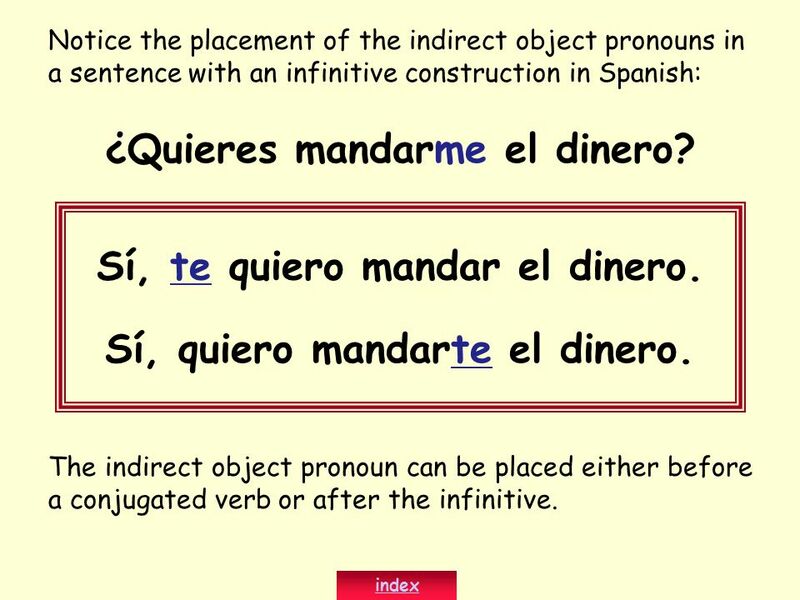 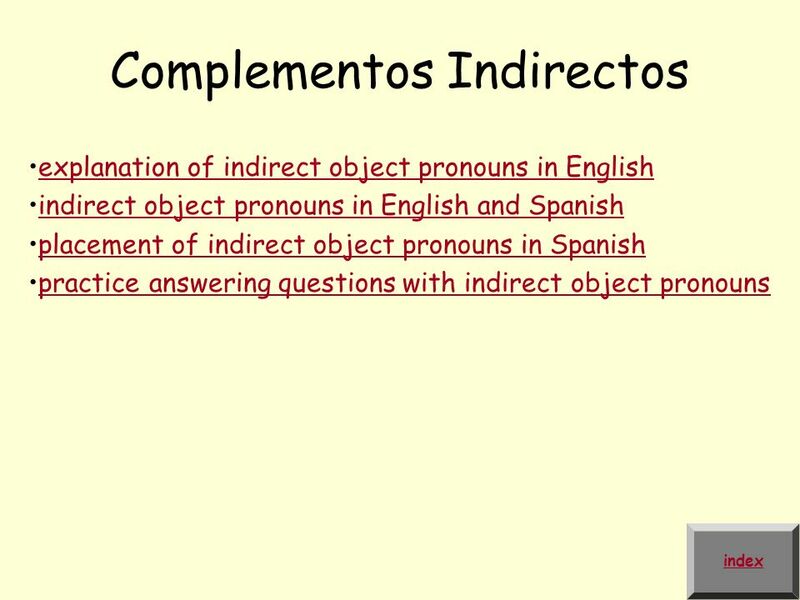 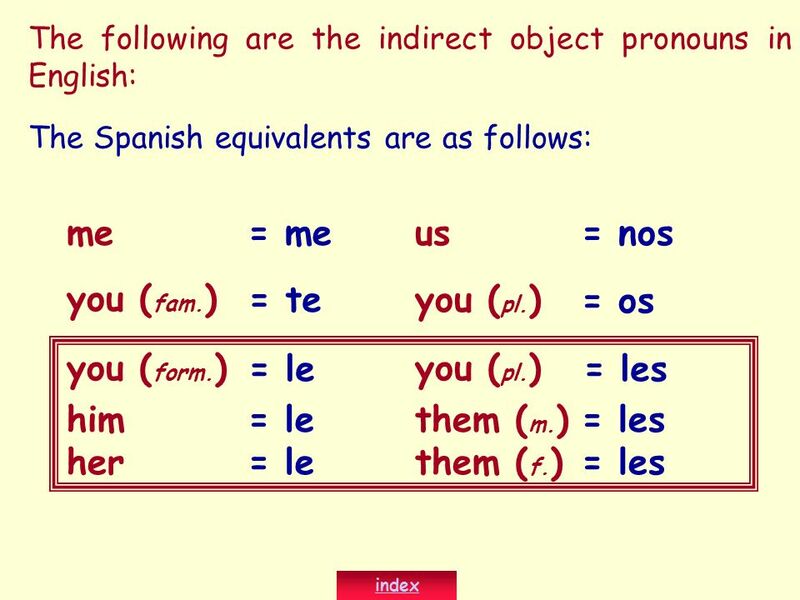 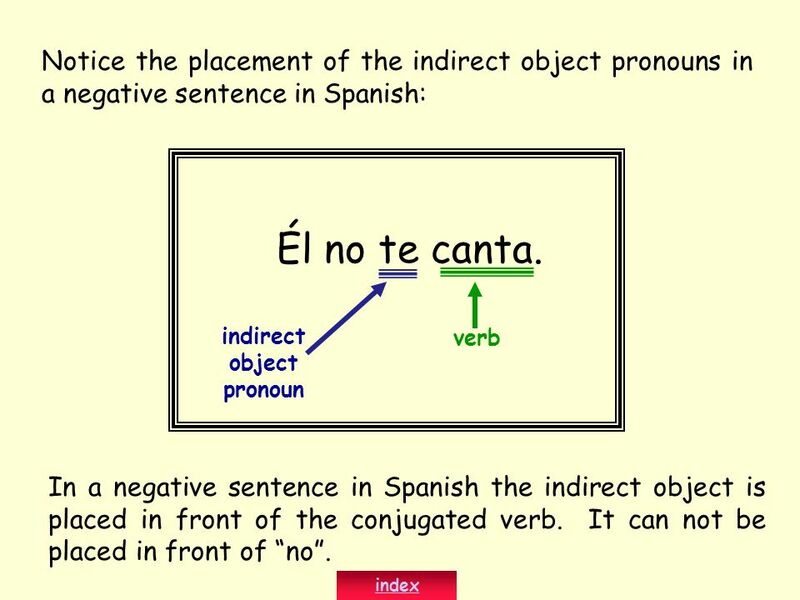 p. 281 Indirect Object Pronouns Read the examples below. 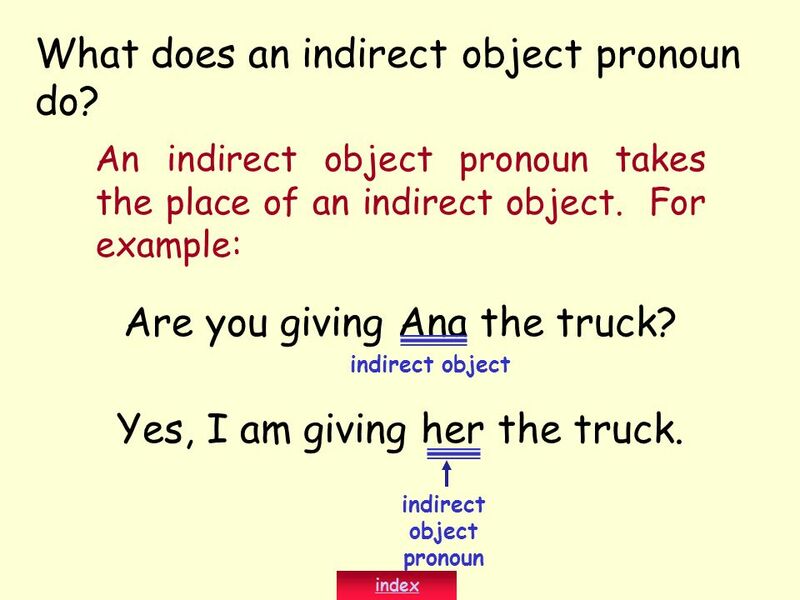 What is the subject, the verb, the direct object and the indirect object? 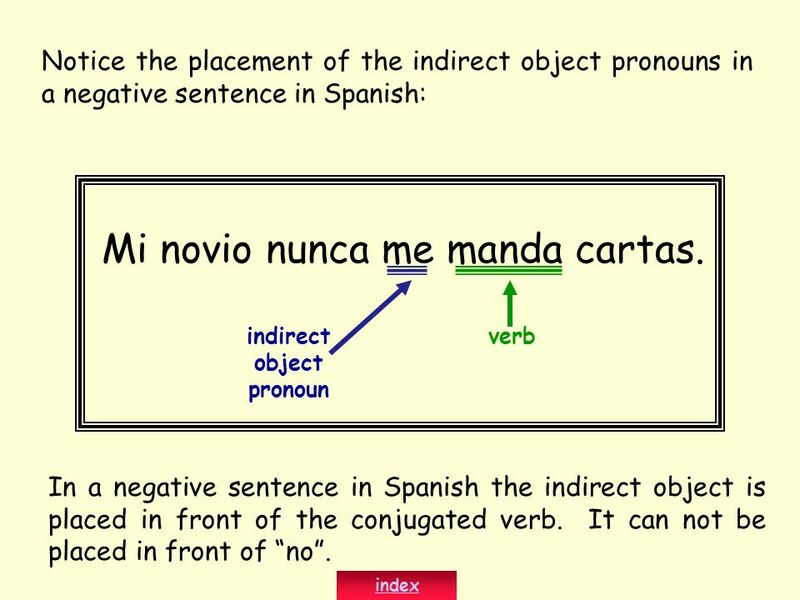 Ex: I.